Invisible Braces ­ Are They Really The Right Orthodontic Option For You? 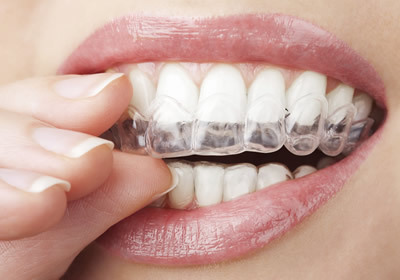 Home / Uncategorized / Invisible Braces ­ Are They Really The Right Orthodontic Option For You? If you’re reading this you’re already no doubt considering having braces fitted. A recent survey showed that 18% of the population of England and Wales believed that they would benefit from a brace. However, the same survey showed that over 70% of those polled were unaware of the existence of ‘invisible’ braces. Gone are the days where having a brace fitted meant a mass of metalwork in the mouth, with all of it on show. Advancements have continued over the years, with aesthetics playing a major role in the development of adult braces, as more adults visit specialists to straighten their teeth or improve their bite. Enter the invisible brace. Smile with confidence – For many people considering an adult brace the primary concern is its impact on their appearance. If you’re naturally self-conscious the idea of a visible brace can be off putting. Perhaps your job means dealing with clients and customers face-to-face, in turn impacting your decision to wear a brace? An invisible brace can help alleviate these fears and allow you to straighten your teeth without suffering a dent in your confidence. Metal or plastic? – A fixed metal lingual brace is not your only option. A clear aligner, made by the U.S. based company Invisalign, could also be worth considering, especially if you want to be able to remove your ‘brace’ to eat and drink. This method of straightening teeth is also sometimes better suited for those with existing periodontal problems, as well as being, in many cases, a comfortable and easy to use option. Remember however that the Invisalign brace must be worn for 22 hours each day for it to remain effective and for you to achieve the results that you desire. A wide application – While most people choose invisible braces for aesthetic reasons, they do have other advantages over their traditional counterparts. Those who play contact sports could benefit from the placement of the brace behind the teeth, as could those who play a wind instrument, where a front-fitting brace would greatly affect their embouchure and in turn their ability to play the instrument. Improved oral hygiene – Braces fixed to the front of the teeth can make it tougher to keep your teeth clean, trapping food and making brushing more difficult. Lingual braces allow you to brush the front of your teeth with ease, while the removable Invisalign brace allow you to brush and floss as normal. Still unsure of the right brace for you? For anybody wanting straighter teeth it’s vital that you make an appointment with a reputable orthodontist. They can discuss both the options available to you and the issues related to each method, from its impact on your speech to general discomfort and more.